In the wake of the worst housing sector crash in American history, homeowners are just now starting to see the light at the end of the tunnel. Equity has returned at an unbelievable rate and, for all intents and purposes, things appear to be heading in the right direction. That is, of course, everything except for the risk of repeat foreclosures. While it is true that foreclosures have declined across the country, the threat of repeat foreclosures is very real. In fact, repeat foreclosures increased for the first time in more than two years. As recently as January, repeat foreclosures increased 11 percent from the previous month. Perhaps even more of a concern: repeat foreclosures accounted for more than half of all new foreclosures. It would appear as if more Americans were not prepared for their return to homeownership. Just as their name suggests, repeat foreclosures are the re-occurrence of foreclosure on the same property. In other words: Once a home has been subjected to a foreclosure for the second time, it is considered to be a repeat foreclosure. The homes we are referring to have already removed themselves from a past foreclosure, but have once again found themselves in delinquency. This is usually the result of a loan program or modification that removed them from the first foreclosure, but caused issues down the road. The problems associated with repeat foreclosures are compounded in judicial states – meaning a judge is required to oversee each individual filing. 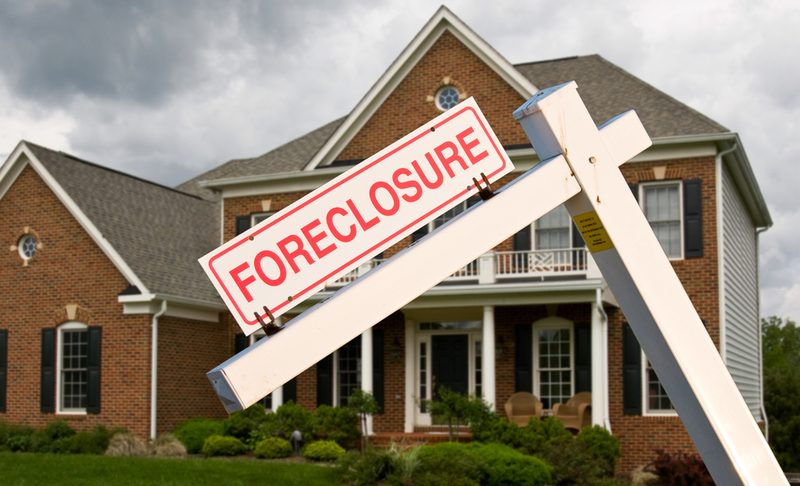 When a judge is ordered to preside over every foreclosure, the process is inevitably extended. There presence alone makes every foreclosure take that much longer. With the amount of time each case takes, more foreclosures are placed on the books. Inevitably, there is a backlog of cases that need to be addressed. Since there are only so many judges, it takes far too long for the process to go from beginning to end. While experts familiar with the market can only assume what is causing the recent increase in repeat foreclosures, it is widely believed to be the direct result of expected seasonal fluctuations. Analysts at Black Knight, a financial service company, were quick to point out that the recent rate of repeat foreclosures was not correlated to the government’s mortgage bailout program – otherwise known as the Home Affordable Modification Program. The problem may, in fact, be more basic. A higher rate of repeat foreclosures could just be the aftermath of the recovery. “It’s not surprising because so much tinkering was done with defaulted borrowers over the last five or six years. It’s not surprising they’re running into problems again,” said Guy Cecala, CEO and publisher of Inside Mortgage Finance. In order to avoid further repercussions from previous transgressions, traditional lending institutions had to change the way they catered to borrowers. Subsequently, it is no secret that loose lending practices made the recession possible. Too many borrowers were simply not qualified for the loans they were receiving. At the peak of the crisis, banks were put under increased pressure to modify their programs. On the other hand, the amount of completed foreclosures has seen a dramatic decline. Perhaps even more importantly, completed foreclosures are decreasing at a rate much faster than the backlog of foreclosures in judicial states is growing. The hope had been for the opposite and a quick return to a more normal level of distress. When it comes down to it; there are still more than twice as many troubled loans than there are of the normal variety – even in the face of appreciation and an expanding economy. To put it bluntly, the foreclosure crisis is far from over.